Adventure Travel – Where’s Your Next Expedition? What’s Your Next Adventure ? Dive shops across the world you can get access to diving equipment, get yourself a PADI Certification and you’re set for adventure. The creation of marine reserves such as Ras Muhammad in Sharm el Sheikh, Egypt have protected fragile coral reefs and have created local employment in the adventure travel industry. Do it on your own or with a guide. Anywhere you find mountains you will find adventure, whether it’s a Himalayan trek or taking on a Colorado 14’er. Major international mountaineering destinations include; Peru, Alaska, Alps, Nepal. There are lifetime of mountains to challenge yourself in the United States including the Colorado Rocky Mountains, the Tetons in Wyoming, or a glaciated mountain in the Pacific Northwest. Hard Water Sports can hook you up with rock climbing instruction, we teach introduction rock climbing classes all summer and ice climbing in the winter months. 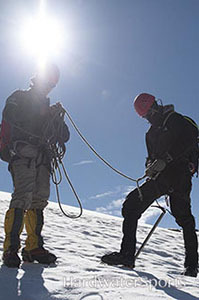 We can help you with a mountaineering course, Kaf Adventures teaches Alpine Mountaineering courses in the Pacific Northwest. A combination of paddling and camping skills are needed to make this adventure a success. The wilderness areas differ from the Florida Everglades to Minnesota’s BWCA, or if you want to up the adventure – try one of the far North Canadian Rivers. 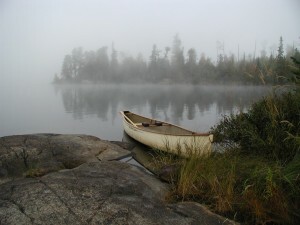 Traveling in a canoe affords the adventure seeker to add a few luxuries to the packing list. Roomier tents, extra tasty meals, and a comfortable pair of camp shoes can all be packed for a wilderness canoeing adventure. Coastal sea kayaking can take adventure seekers to some of the most amazing places in the world. Access to quality kayaks can be found at many of the most popular paddler destinations. Rent a sea kayak in Alaska and paddle the coastal waters with sea otters and puffins then do it again next year in Fuji padding in the tropics. It has become easy to breakdown your bicycle, load it on a plane and travel to exotic locations. Many of the established destinations have bike rentals and tours. Combining travel with environmental education has become a popular form of adventure travel. From turtling in the Galapagos to Bali butterfly parks, African Safaris, and Colombian eco trekking though the Sierra Nevada Mountains. Planning your next adventure ? Hard Water Sports wants to connect you with the resources to make it happen, let’s make those dreams come true.